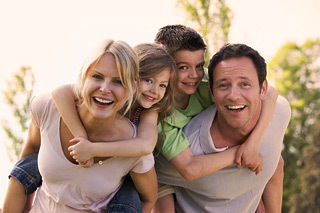 Strait Smiles Family and Cosmetic Dentistry is a unique dental office devoted to the preservation, restoration, and enhancement of your smile. While most practices focus on one of those aspects of dentistry, they believe that all three are necessary to keep their patients healthy and looking terrific! Dr. Timothy M. Strait and the staff at Strait Smiles Family and Cosmetic Dentistry would rather spare you the discomfort and expense of experiencing dental problems by preventing them. They provide education and instruction on how to prevent gum disease and cavities, how you should tend to your natural teeth, as well as present restorations. They couple that home care with comprehensive examinations including oral cancer checks, x-rays, professional cleanings, sealants, fluoride treatments, and a thorough familiarity with your medical history. It all adds up to a lifetime of good oral health! If you are self conscious about your teeth, schedule an initial consultation with Strait Smiles Family and Cosmetic Dentistry today! You will be taking your first steps in achieving the smile you have always wanted. 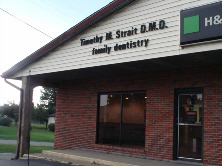 Please contact to schedule your appointment at Strait Smiles Family & Cosmetic Dentistry with Dr. Timothy M. Strait now! Offering The Latest in Smiles! Call For Your Consulation Today! *Only open 1st Friday of each month. We specialize in dentist, dental, cosmetic dentist, dentist office, family dentist, dental implants, veneers, teeth whitening, teeth cleaning, tooth, tooth whitening, dentures, partial dentures, wisdom teeth removal, wisdom teeth extraction, fillings, dental cleaning, tooth cleaning, teeth cleaning, gum disease, dental hygienist, cosmetic dentistry, bridge, braces, crowns, partials, caps, invisalign, lumineers, cavities, zoom whitening, snap-on smile, carecredit, orthodontist, and periodontal; serving patients from across Kentucky, Ohio, and West Virginia including Ashland, Russell, Greenup, Paintsville, Louisa, Prestonsburg, Pikeville, Chesapeake, Proctorville, Ironton, South Point, Portsmouth, Gallipolis, Jackson, Coal Grove, Rockhill, Huntington, Barboursville, Milton, Ona, Hamlin, West Hamlin, Branchland, Ranger, Winfield, Teays Valley, Lesage, Apple Grove, Logan, Williamson, Kermit, Cross Lanes, Winfield, Dunbar, St. Albans, Ravenswood, Parkersburg, Point Pleasant, Kenova, Ceredo, Wayne, Lavalette, Charleston, Cross Lanes, Beckley, Buffalo, Morgantown, Clarksburg and the Tri-State area. Copyright © 2013-2017 Strait Smiles Family & Cosmetic Dentistry, Dr. Timothy M. Strait, DMD. All Rights Reserved.